The term BB Cream comes from Blemish Base or Blemish Balm (a base for imperfections or blemishes). As a concept, BB Cream was originated in Germany by dermatologists as a remedy to protect the skin against aggressive facial treatments. Skeyndor BB Cream Age Defense is a multi-action perfecting cream, which is a corrector, cream-based colour and a moisturising treatment all rolled into one. Giving your face a uniform, natural appearance, BB cream has active anti-wrinkle, anti-oxidant, re-mineralizing and repair ingredients, which makes you look young and natural always. Often called as a real cocktail treatment by skin experts, BB cream is prevents premature skin aging in the long term. It is a hybrid formula that perfects and treats the skin against ageing. 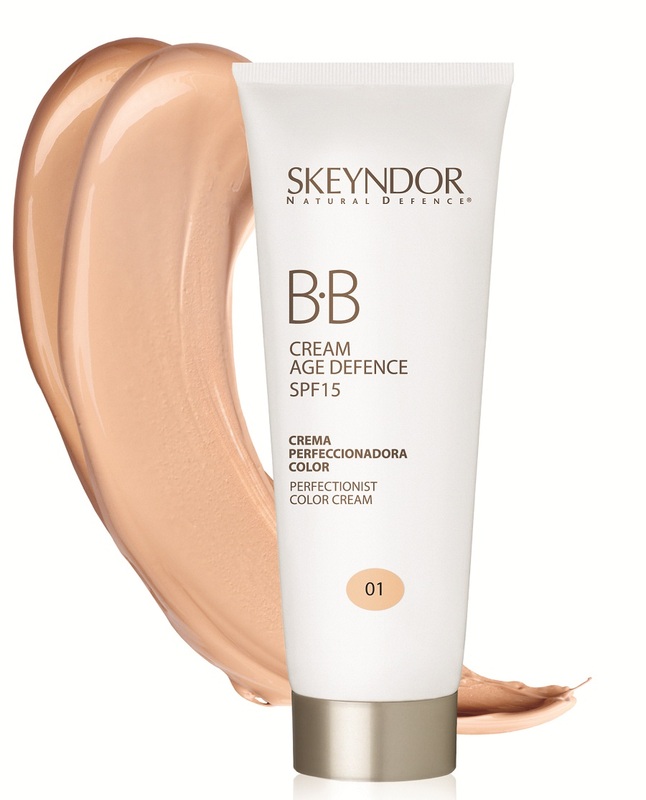 Skeyndor’s highly advanced BB cream is made up of POWER C+. Nikkol VCIP (Ascorbyl Tetraisopalmitate), derived from high cell absorption and purest form of Vitamin C; hence, leaving behind a visibly radiant and rejuvenated skin. Known for its excellent cell absorption properties, it is known for preventing DNA damage, preventing the peroxidation of cells and promoting collagen synthesis. Step 1. Use only that shade of the cream, which suits your skin type. Squeeze the desired amount of cream in your hand. Step 2. Spread it gently on your face, and by using light circular moments spread it evenly on your face. Step 3. Do apply a few drops of the cream on your neck, so that neck and face are evenly toned with BB Cream. It is available in three blendable shades, for easy and effective application. It is light in texture and intermediate coverage brings your skin the freshness of a perfect, natural skin with a more even and natural tone. It contains SPF 15, which has been dermatologically tested and is perfect to save you from the hot scorching summer sun. BB Cream is designed to protect the skin from sun and environmental factors, regenerate after aggressive treatments, conceal possible redness or pigmentation and provide hydration and radiance. Unlike any other conventional make-up items, Skeyndor’s BB Cream is an instant paraben-free formula magical cream, to get ready in a few seconds. BB Cream repairs, revitalises, and remineralises the skin for natural beauty and glow. And, on the other hand, it conceals dark spots. Also, it has an instant whitening effect as it inhibits melanin genesis. More the participants and share more will be the winners. Please Share it on your pages and join it too. Waiting. I'll have it in mind! Good to know that Priyanka!